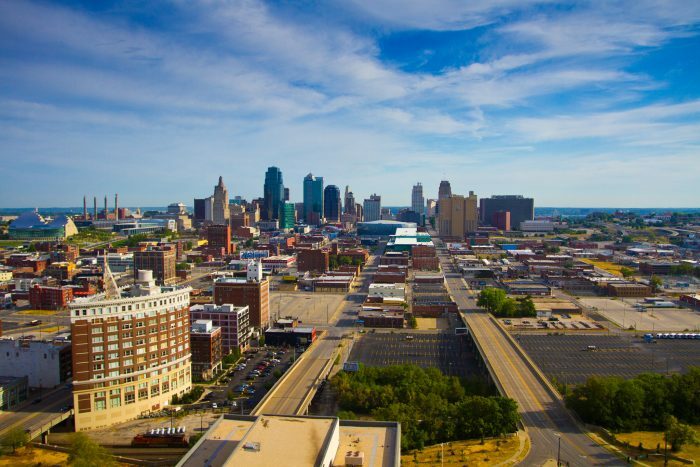 Famous for its barbecue, jazz heritage, and fountains, Kansas City sits on Missouri’s western edge, straddling the border with Kansas. 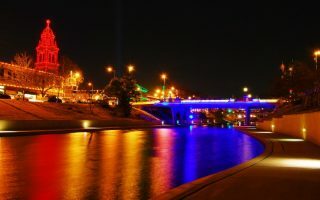 With downtown near the confluence of the Kansas and Missouri Rivers, the modern day city encompasses 320 square miles, making it the 23rd largest city, by total area, in the United states. Major suburbs include the Missouri cities of Independence and Lee’s summit, as well as the Kansas cities of Overland Park and Olathe. 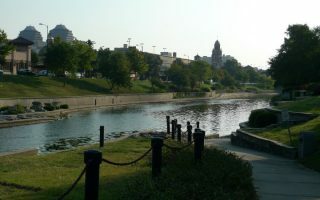 One of our preferred areas for running in Kansas City is the area known as Country Club Plaza, about 4 miles from downtown. In addition to parks, paths, and lovely residential areas, there are lots of hotels, restaurants, shops and galleries. Running in downtown Kansas City is OK, with an easy grid of wide, straight boulevards. We’ve also included some routes in K.C. suburbs that are major business travel destinations, such as Overland Park. Thanks to wide, straight boulevards, Kansas City is fairly easy to navigate. Yet, while it’s a great city for running, a car is needed unless your trip has you staying mainly downtown or in the Plaza area. There is a good bus from downtown to the Plaza. Note also that the airport is far from downtown, and really far from corporate office locations in Overland Park. This is a pleasant run highlighting some beautiful wildlife areas along the creek, and a huge waterfall. 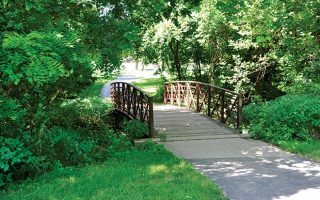 Popular among walkers, runners, strollers, dogs, and bikers, this path starts off at the Plaza, and runs to Brookside and the Waldo. 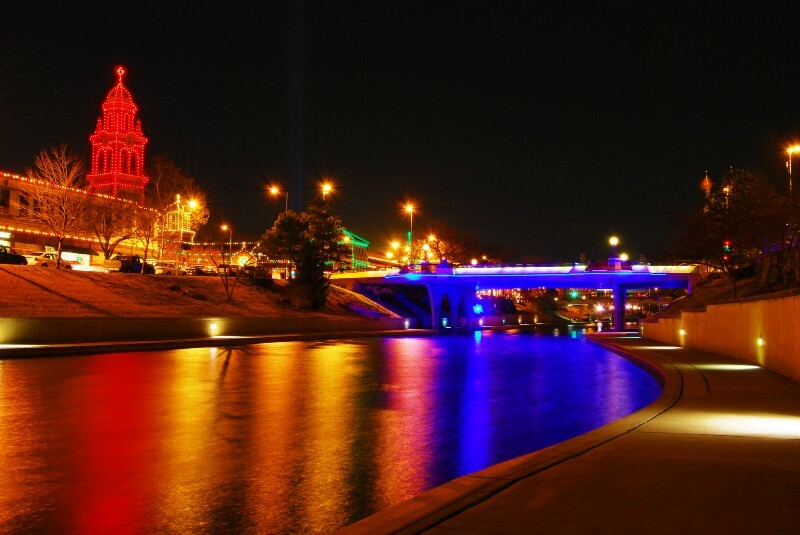 The Riverfront Heritage Trail is a fully accessible fifteen-mile route, beginning at the riverfront and winding through the oldest and most historic parts of Kansas City. 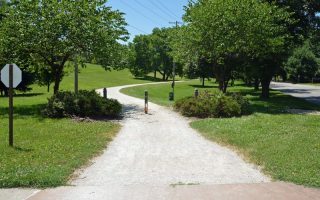 Starting at Foxhill South Park, this 7 mile trail runs through a number of neighborhood parks on Overland Park’s eastern side. 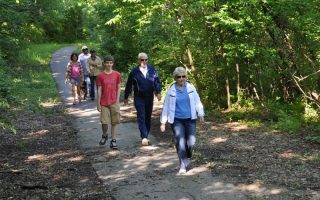 Starting at Minor Park, the Blue River Parkway has 12+ miles of trails that wind along both banks of its namesake river, on the southern outskirts of Kansas City. 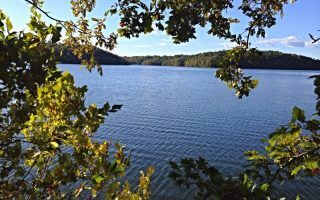 This 4.8 mile, scenic route will loop you around three parks: Havens Memorial Park, David Brewer Park, and Wollman Park. 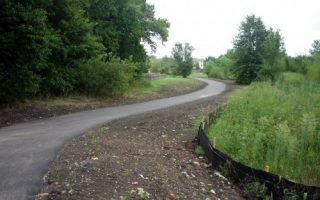 The Blackbob Road Trail travels through the community of Olathe, south of Kansas City. 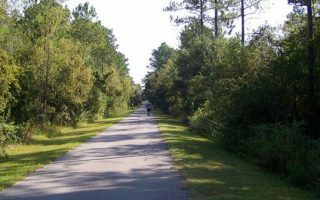 The route features Black Bob Park and Heritage Park, featuring a large lake, beautiful golf course, and an off-leash dog area. 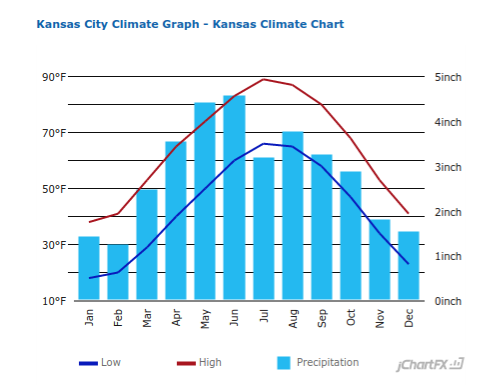 Kansas City has typical midwestern weather: hot and humid summers, and cold, dry winters. Kansas City gets an average of 37 inches of rain per year, and 18 inches of snow. Average highs in July high are around 90F and the January low is about 20F. May and June are the wettest months. Spring and summer weather can feature thunderstorms and severe weather. Humidity is moderate to high during summers, with a comfort index of 34 out of 100, where higher is more comfortable. Kansas City is very spread out. There are clusters of hotels near downtown, the Plaza, and some more towards Northeast Kansas City. 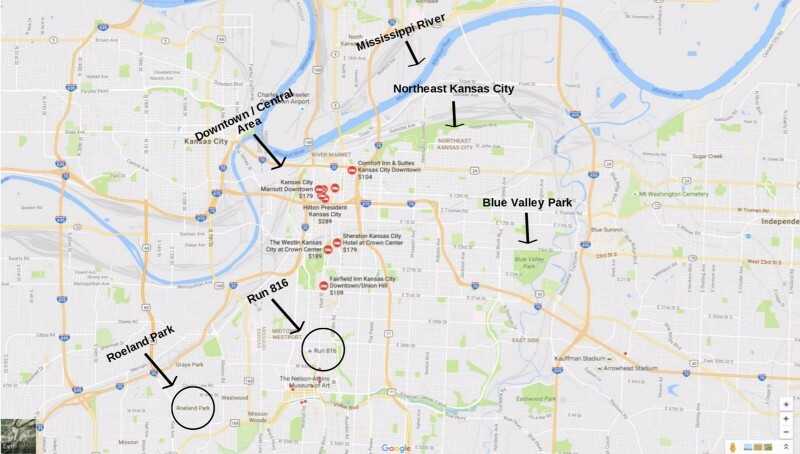 The map below displays several hotels near downtown and Northeast Kansas City. Run 816 — Group runs on Sunday mornings at 6:30am. Water on course provided. Fleet Feet Sports Kansas City — Group runs on Saturdays. 7:00am. 5 and 10 mile routes available. The Running Well Store — Group runs (periodically) on Tuesdays. 6:00–8:00pm. Free. KC Running Company — Group runs on Sundays. 7:00–8:00am. Gary Gribbles’s Running Sports — Various group runs available. Click here for dates. Humana Kansas City Marathon. November. Loop course that passes every city landmark.